You've come to the right place – our Kars4Kids crew in Connecticut can pick up virtually any car donation, regardless of condition, and usually without a title too. Here’s what our Connecticut donors had to say about how donating went for them. Easiest car donation of the three that I've made over the years. Simple on-line "paperwork", straight forward scheduling and bingo, someone was here to tow the Audi away. With a couple of weeks, I was informed of the value I coul. . . Highly recommend to anyone who wants to donate a car! Extremely friendly and efficient - would highly recommend to anyone who wants to donate a car! Being a kid in summer means going to camp for extended, uncomplicated fun. But not every family has the means to give their children that important experience. 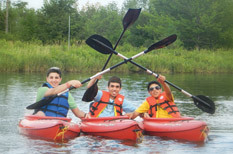 Our beautiful campus at Kars4Kids-sponsored summer camp TheZone, has every fun activity imaginable plus knowledgeable staff to guide the children every step of the way for the most meaningful summer ever. Some kids are born leaders-they just aren‘t getting the help they need to fulfill their innate leadership skills. 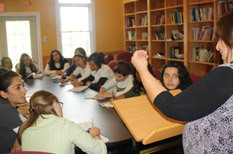 Kars4Kids‘ Maccabees Volunteer Leadership Program helps shape and develop that talent, thus providing a pool of immensely talented mentors and counselors to work with the next generation of kids in need. We can usually pick up a vehicle without a title in Connecticut . We just need the registered owner to sign some paperwork for us. The car owner must complete the Application for Replacement Certificate of Title (form H-6B). This application must be signed. 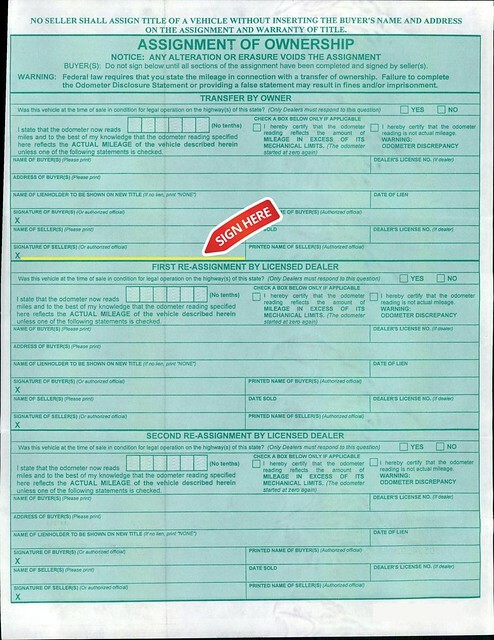 If the vehicle was registered after February 1988, the duplicate title can be issued at any DMV Hub Office or Limited Service Office (Please Note: The Putnam Office does not process replacement titles). Where do I sign my Connecticut title? The sample title document to the left of this paragraph has a blue arrow. Sign where the arrow appears using the name listed on the front page of your car title. The title document should be given to the tow truck driver at the time your car is collected. All plates must be removed from your car prior to towing. You may transfer your marker plates between vehicles which are currently registered in your name by visiting your local DMV with both registration certificates, current insurance card, your identification and complete a registration application H13 for each vehicle. Advise the DMV agent that you would like to transfer the plates between the vehicles. License plates can be mailed to the DMV or dropped off in person. Drop your plates off in person. Return your registration marker plate(s) to any DMV HUB or limited service office. Request a cancellation of the plates(s). Request a receipt and keep for your records. You may need the receipt to request a proration of your municipal property tax bill. There will be a $20 fee if you lose the receipt and need a replacement. Please enclose a written request to cancel the registration and indicate whether you would like a receipt. A receipt will be mailed to the address that is on file with DMV. If you have moved out of state you must enclose a self addressed stamped envelope for the receipt to be mailed to you. Cancel your insurance after your car has been towed. Visit http://www.ct.gov/dmv/ for more information on your state car donation laws. Elm City Auto Wrecking services the complete state of Connecticut with just 4 tow trucks. That‘s a mighty tall order, but this is a can-do kind of business with 25 years of experience in the can. The company tries to go the limit, offering itscustomers service with heart, in both English and in Spanish. Elm City knows that the relationship between car and client runs deep and helps to make car donation as pleasant an experience as possible. As clients say goodbye o their cars, they are glad to know that the proceeds will go to fund educational programs and camps for children. That‘s important to them and it‘s important to Elm City Auto Wrecking, too. 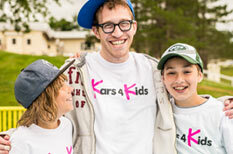 Elm City is proud to be a part of thegood work done by Kars4Kids on behalf of children all over the United States. That makes going to work a meaningful endeavor, for the staff at Elm City, every single day. The largest tax deduction ever realized from a Kars4Kids car donation went to Brian of Greenwich, CT., whose Porsche 911 sold for $25,000.